My sister Miranda, from The Yarn Box, just bought a beautiful new home. In the excitement of transforming their new home, my niece’s decided to decorate their rooms in butterflies. I searched the web until I found the perfect crochet butterfly pattern for making into bunting. 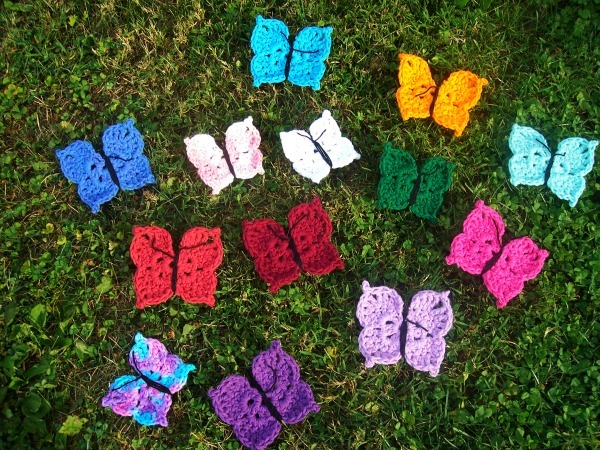 But after I finished crocheting the butterflies…I fell in love with them just the way they are. I found it!!! Thank you so much for sharing, my Granddaughters will love them! How did you find the free butterfly pattern as I can’t find it. Did you click the word “Here” at the end of the post?